The site sixbillionsecrets.com is just another great and innovative online business idea. This is a relatively new site, it has been founded in May 2010, but its popularity has been growing rapidly since then. There are around 7 billion people on Earth and most of them have dreams, hopes, desires, and fears. You will be amazed about how many of them would love to share their emotions with other people… And the good news is that they can do this on sixbillionsecrets.com. The site is a multinational platform, where people can submit their deep dark secrets. Believe it or not, millions of secrets have been submitted for 1,5 years (since the portal was founded) by millions of people from around the globe. More than 2,000 secrets are submitted every single day and they are growing. I would have never come to such an idea for an online business if I hadn’t seen the site. 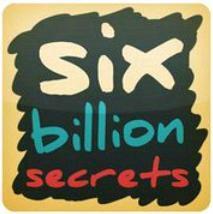 I think it’s really innovative and I wish 6 billion secrets’ team luck and success.